This package contains four Transition effects: Page Flip – Open, Page Flip – Close (drop zone versions); Page Flip TLP – Open and Page Flip TLP – Close (timeline pin versions). Open shows the pages “opening” or peeling off and Close shows the pages overlaying the drop zones before. This transition is fairly straightforward. It is designed to be 3 seconds long when added between clips (overriding preferences). 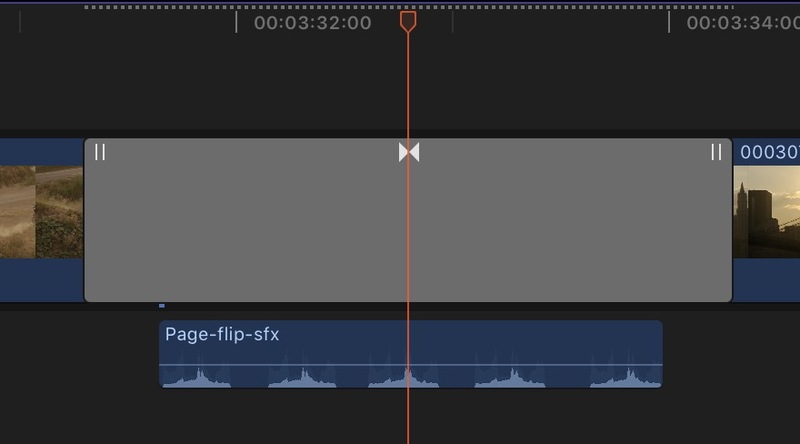 The 3-second length is synchronized with the Audio (supplied). You can speed up or slow down the effect by changing its length in the storyline. There are two audio effects supplied with this effect. They are named: Page-flip-sfx.wav and Page-flip-open-sfx.wav. If you change the length of the transition, you will need to edit these down and reposition the effects. There’s an OnScreen Control to make designing custom page animation easy. The OnScreen Control affects the Angle and Rotation parameters. 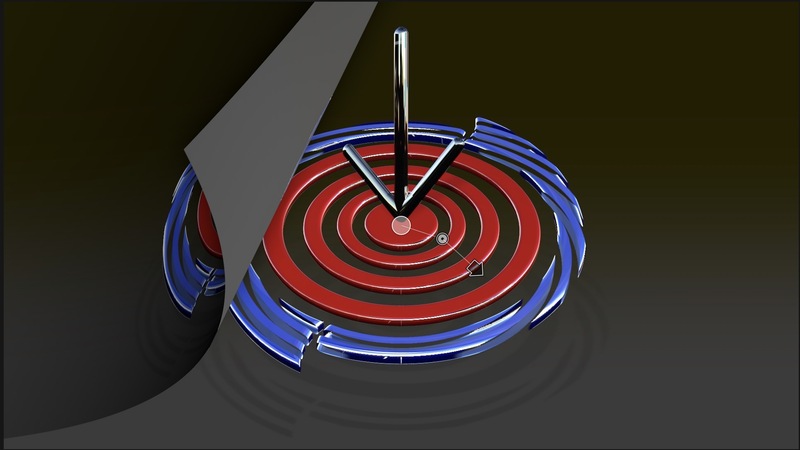 OSC in center screen: white circle with two line segments separated by a smaller circle and tipped by an arrow. You cannot drag the center circle, but can drag the smaller circle and the arrow head. The Radius parameter controls the amount of curl on the page. A small value is a tight curve. A Large value is a slight bend. Fade Out controls a fade effect as the “pages” finish their animation. Fill Color and Fill Opacity can be used to change the appearance of the backside of the pages. The default setting should be good for most situations. The rest of the parameter list for all of the transitions concerns the drop zones. For the TLP versions, there will be no actual drop zone source wells, just the Pan and Scale parameters. These can be used to resize and reposition the media in the drop zone area (useful for misbehaving media which you may run into once in awhile.) In most cases, you shouldn’t have to make any adjustments for media that is 16:9 format. transition, then align the middle audio peak to the playhead. the start of the transition. In this example, there is an Audio Fade applied to the end. In the demo video below, there is a scene of a couple of children running down to the beach. All four pinned frames are from the same clip. If you do not want to show the clip, but still use the stills in a sort of stop frame animation, then simply place a connected clip or secondary storyline over the clip you used for the stills. The reason this is necessary is that timeline pins always must be on the same storyline as the transition. Timeline pins can be a little “persnickety”. If you drag the dot over a clip in the timeline and release the mouse, a lot of the time the pin will snap back to its default position. 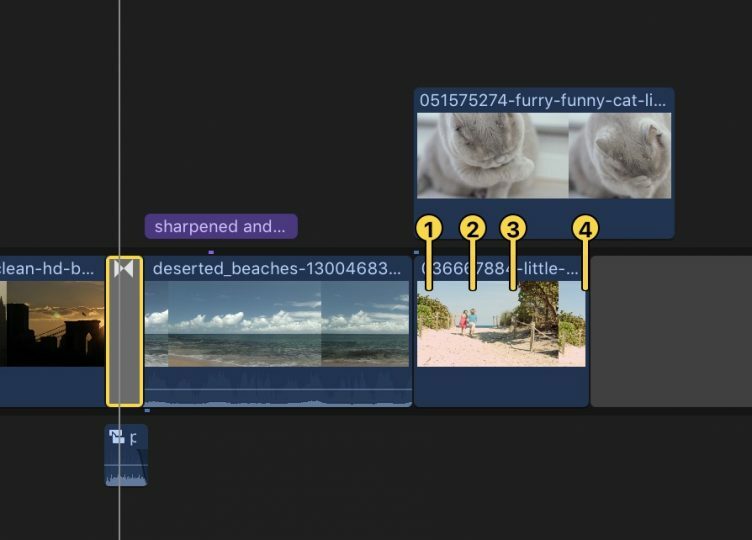 The tip is: when you drag the timeline pin to another part of the storyline, bring the mouse down into the clip before releasing the button. The pin should stick where you placed it. If you haven’t already done so, please pick up a copy of SC Sharpen Tools before you leave. It’s a great effect that just about every clip could use (just don’t push it too far unless you’re going for a “special effect”!) Be sure to watch the instructional video for it as well.